It's not cheap, but a big yield means this AIM retailer could do well for the right kind of investor. An income oriented investor might think differently though. Shoe Zone (LSE:SHOE) is paying a total dividend for 2018 of 11.5p per share (yielding shareholders nearly 5%) and so long as it can start the year with £11 million in cash, the company pays any surplus out as a special dividend. The special dividend for 2018 is 8p per share, or another 3%. I visited my local Shoe Zone on Wednesday. The shop is in an unfashionable location, the signage is written in a font filched from Windows 3.1, and fluorescent signs like cartoon "Bam! ", "Zap!" and "Kapow! "'s from a 1960s Batman TV episode advertise bargains in baskets in front of the shop window. Inside, our Shoe Zone is spacious and ordered. The only visible member of staff was busily putting shoes on shelves. The only customer (it was very early) bought something. There were lots of boots, shoes, and trainers in common colours and styles, facsimiles of shoes that cost three to five times as much elsewhere. Wondering how Shoe Zone can sell shoes so cheaply, I was drawn to a narrow column of a wide display, marked "leather uppers". The shoes were £19.99. I searched far and wide, but the materials used in other shoes were mysteriously identified as “other materials” or not identified at all. They smelled like shoes though. "Our reputation is that nothing in the shop is expensive." Shoe Zone says it is the market leading value retailer of shoes in the UK. A pie chart in the prospectus published when the company floated in 2014 shows it had a 2% share of the total shoe market, slightly behind a gaggle of posher High Street retailers like Schuh and Office, and a bit further behind fashion stores like Next, JD Sports and M&S. They all trailed Clarks, which had 9% of the shoe market. Shoe Zone was founded in 1980 by two brothers who acquired and combined a number of long-established shoe businesses, including assets of Stead & Simpson (the only one I recognise), enabling the group to claim a heritage going back to 1917. Today, Shoe Zone is majority owned and run by the sons of the brothers, chairman Anthony Smith, and chief operating officer Charles Smith. 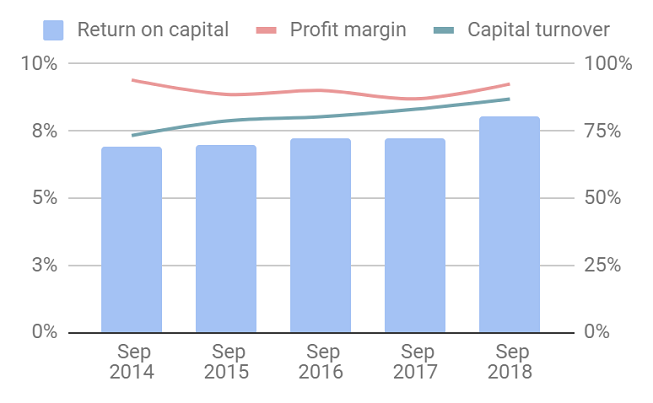 Revenue and profit have been flat since the flotation, and return on capital uncannily stable considering, to adopt a cliché, widely reported "carnage" on the High Street. Eight percent return on capital is, perhaps, the mark of a viable business rather than a great one, nevertheless if the return comes with little risk and a low price tag, Shoe Zone could still be a good investment. At first blush it comes at little risk. Shoe Zone's cash return is almost as stable as the profitability measured by its accountants. It has no year-end borrowings. Shoe Zone is not going to grow by rolling out more stores though. In 2016, the company estimated 500 stores to be "about the right number", and it was a number it had already achieved. Since the flotation, it has closed more stores than it has opened, typically closing smaller ones and opening bigger shops including "big box" stores in retail parks that stock a wider range of shoes and brands like Clarks, Crocs, and Wrangler, appealing to more affluent customers. In the last three years, the company has opened 19 Big Box stores and the growth rate is accelerating. In 2019, it plans to open 20 more. Along with online sales, which are growing from a low level, Big Boxes may be a route to growth, but mostly, Shoe Zone is about keeping a lid on costs: the cost of shoes, the cost of staff, and the cost of rent. The transition to bigger stores (and improving the company's systems) has allowed Shoe Zone to shed about a thousand staff since it floated, reducing the total number to about 3,500 (half work full time). 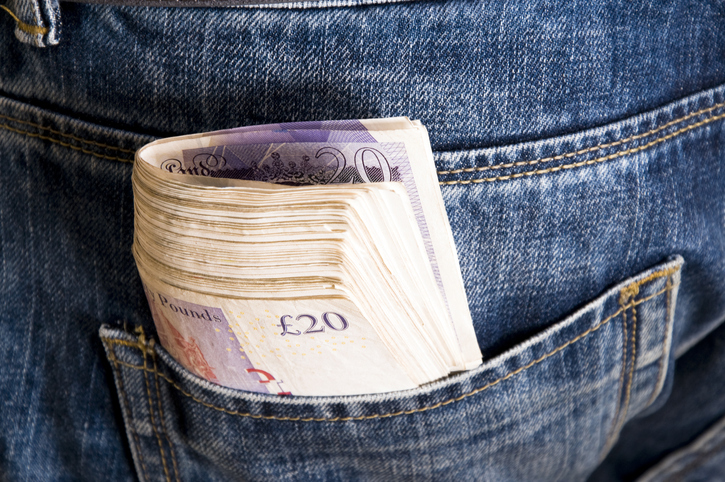 Fewer staff has enabled the company to keep staff costs fairly flat at between 22% and 24% of total revenue, even though wages have probably risen substantially due to the national minimum wage. The rental bill is falling, maybe because Shoe Zone has fewer shops, but also because it is renewing leases on substantially better terms as retailing moves online and competition for retail space diminishes. Since Shoe Zone's average lease length is only 2.1 years, it has frequent opportunities to renew. The company sources 85% of the shoes directly from factories in the Far East, another factor keeping costs down. "Shoe Zone has a culture created over the last 20 years that celebrates length of service, internal promotion, “going the extra mile” for customers and raising money for charity." The founders of successful businesses are often fanatical about pleasing customers, and since Shoe Zone is still run by its founding family, it would not surprise me if some of that spirit lived on. Despite the odd negative review from staff on recruitment websites and customers on review sites, the majority of staff and customers seem to appreciate what Shoe Zone is, a good place to buy cheap shoes. As usual I have scored Shoe Zone to determine whether it is profitable, adaptable, resilient, equitable, and cheap. Each criterion can achieve a maximum score of 2, and a minimum score of zero except the last one. The lowest score for companies trading at very high valuations is -2. Hmm. It is borderline. 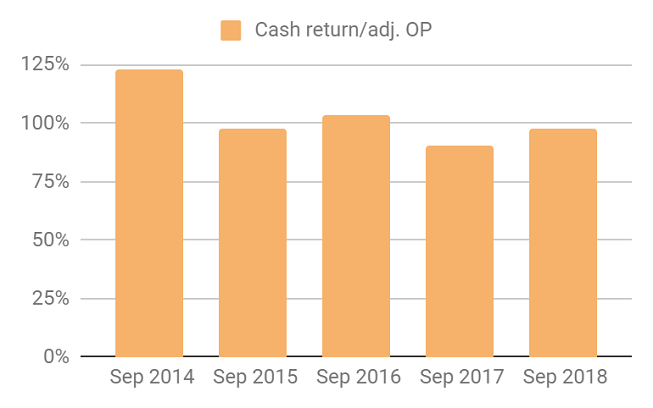 I do not think it is worth being in business for less than an 8% return on capital but Shoe Zone is also earning an 8% return in cash terms. Shoe Zone has saturated the UK with stores, but it is adapting by increasing their size, widening the range, and selling online. I wonder whether Shoe Zone is moving away from what makes it special by selling premium brands, and, long-term, whether it can continue relying on falling rents to mitigate cost pressures in the rest of the business. Also the shoes are so cheap, I wonder whether online sales are economic. Currently Shoe Zone bears the cost of postage and returns. I think the founders' mentality probably lives on in Shoe Zone's commitment to low prices and customer service, although it is slightly disconcerting that Charles Smith, the company's chief operating officer is a part-timer. He works three days a week. The company trades on a debt and lease-adjusted multiple of about 17 times adjusted profit in 2018. A total score of 6 is below my arbitrary threshold of 7, required to recommend a share. An income oriented investor might think differently though. Shoe Zone is paying a total dividend for 2018 of 11.5p per share (yielding shareholders nearly 5%) and so long as it can start the year with £11 million in cash, the company pays any surplus out as a special dividend. The special dividend for 2018 is 8p per share, or another 3%.